Address : 81 Forest Plaza, , Annapolis, , MD - 21401 United States. We're mobile service providers and provide service at customer's location. Welcome to Asecure Mobile Locksmith Annapolis Md. Our business model thrives on having the locksmith that is located nearest to you to come out to your location. We at Asecure locksmith Annapolis Md provide swift locksmith service and we make sure that our customers are comfortable and all concerns are addressed before we leave the facility. Our mobile service model is formed in order to provide our customers with a peace of mind, instead of searching for a solution for your lock needs and driving the extra mile to resolve it. Our customer's time is very valuable for us therefore we have a team of local mobile locksmith professionals standing by to help you out. Whether you need us for a quick lock out or you need us to come out and re-key the locks around your house. Asecure locksmith Annapolis Md welcomes you to contact us at any time via our main line (443) 458-4229, email us at asecurelocksmith@gmail.com or Yelp us. 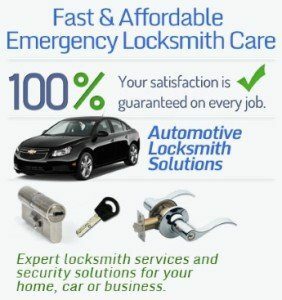 Either way you decide to contact us you will receive a fast response and a solution to your locksmith need. Our friendly professional locksmith technicians are highly trained to handle all your security needs. We at Asecure locksmith Annapolis loud our trucks with the finest equipment to insure a smooth and quick operation on site, for this reason we are insuring our customers with our product warranty for a period of six months. We take much pride and responsibility in our products and professional diagnostics. We Are Available 24 Hours A Day, Seven Days A Week for All Emergencies Unfortunately mistakes and errors do not adhere to the classic 9 to 5 schedule. There may come a time when you are locked out of your home or vehicle at an undesirable hour. There are many locksmith services that do not provide service after hours, and you would actually have to wait until normal business hours resumed so you could receive assistance. We at Asecure Locksmith Annapolis MD tend to believe that our customers should not have to suffer in that manner. 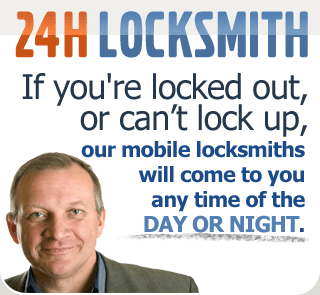 Unlike our competitors, we provide locksmith services 24 hours a day, 7 days a week. We will assist you on weeknights, weekends and even holidays. You can depend on our professional locksmiths to come to your rescue. If you are locked out of your vehicle, our skilled locksmiths will know how your car works. They will have the right tools and equipment with them to complete the job quickly. Asecure Locksmith Annapolis MD is the real choice for Locksmith. So the next time you find yourself in a delicate situation like this, give us a phone call. It is sad how a lot of people take locksmith services for granted and only remember them when they find themselves locked out of their own home. In reality, professional locksmiths can offer various services that many of you might not have even thought in any way. A locksmith is a specialist that can access all types of keys and locks for both residences and businesses. It means that they have the knowledge and skills needed to install locks for your home or business and they can also reprogram transponder keys for your cars and other vehicles. These experts have undergone the necessary education and training that allows them to deliver exemplary services to every client. Asceure Residential locksmith Annapolis Md, in particular, are those locksmiths that handle and address locksmith issues in residential homes. They have many years of experience in helping homeowners in solving their locksmith issues to ensure that they houses remain safe and secure all the time. If you would like to have a new deadbolt or lock for your house, it is not really a very smart idea to just head out to the nearest local hardware store in your area. This is because all of the mass produced locks could actually have the same key. It just means that there is a chance that you have the same key and lock just like the ones used by your neighbors. If you will try to carefully check the numbers on the boxes, one thing that you will notice is that many of them work with the same key. Though this might not really be a big issue since an intruder will not have different keys with him to get into your home, to be honest, no one will surely want to take any chances that someone nearby can use his keys to gain access to your home. However, this situation can be easily addressed when you hire the services of a well reputed residential locksmith Annapolis Md that can make keys and locks exclusively for your home. A reliable residential locksmith has all the essential equipment and has lots of years of rich experience in creating custom-made deadbolts and other types of keys that can offer better and improved safety to your home. By just paying a very reasonable fee to your residential locksmith, you can be sure that your home is properly protected from numerous kinds of potential threats lurking in the corner. Choose the Best Residential Locksmith to Secure Your Home and Property Needless to say, hiring the services of a residential locksmith in Annapolis can be very beneficial for you and your family under all circumstances. Custom made keys and locks, increased safety and affordable rates are just among the many appealing benefits that you can get to enjoy when you hire a professional residential locksmith. Due to all these reasons, it is highly advised that you choose and hire only the most reliable residential locksmith to look after your home locking systems. These are just a few automotive locksmith services we offer. There is a huge list of more repairs and replacements we can handle. We have dedicated team of locksmiths, who guarantee that they will find you no matter where you are to fix your lock problem. We are working on holidays and weekends too and we don’t charge additional fee to work on these days. 24/7 availability is provided to ensure our clients come out of lock problem they are stuck in. With changing technology, auto lock systems keep on changing. We, hence, provide training to our locksmiths for operating these new locks time after time. Professional locksmiths offer an extensive array of services, aside from replacing locks or helping you if you have been accidentally locked out of your house or vehicle. There are now plenty of locksmiths specializing in services relating to motor vehicles like cars and vans. Automotive locksmith services are very helpful when it comes to solving various issues related to your vehicle. There will always be instances when you might accidentally loss your car keys or in worse instances, they might be stolen and you end up with no way to get that vehicle running. An automotive locksmith can come up with a replacement even without your original key. This new key can be produced to fit your vehicle’s ignition and lock so that there is no need for you to have these replaced as well aside from the key replacement itself. Auto locksmiths can also provide you with some spare keys for your car that you can keep safe at home in the event that you lose your keys once again in the future. A broken lock or key is also one of the common problems faced by many vehicle owners. This can happen when the key gets broken while inside the door lock or ignition. In such instances, an automotive locksmith will be able to get the broken key removed and come up with a new one without causing any further damage to the ignition or lock. This means that you can easily have your broken key replaced with no need to replace the lock or ignition, too. Any broken lock can be repaired as well which will save you from the additional expenses of getting a new one fitted. Most of the newer vehicle models these days have been fitted with a device which can lock the car or van automatically once the doors are closed. Such devices are called slam locks and these are being activated with the help of a sensor that can detect once the vehicle’s door is closed. It is now very possible to have this modern technology even on the older vehicles which can offer a better level of security. It is a very popular choice specifically for those people who usually work from their vehicle where there are expensive equipment or tools in which, the moment the door is closed, a key will be needed to gain access to the vehicle and the tools at the same time. Aside from this modern technology, having your vehicle inspected by an automotive locksmith every now and then will also guarantee that every lock and key is in its proper place and in good condition. Such inspections can give you a peace of mind knowing that your vehicle will not be compromised by any potential break ins. Choosing the best and the most professional automotive locksmith is probably one of the wisest decisions you can ever make. Don’t settle for less.